The price of the whole program, for a 4 people group, is 550 € / person. For a 2 people groups, the price is 600 € / person. For our costumers, we can obtain a special accommodation full board rate: 45 € / person / day, in twin room base. For a single room, the price is 55 € / person / day. 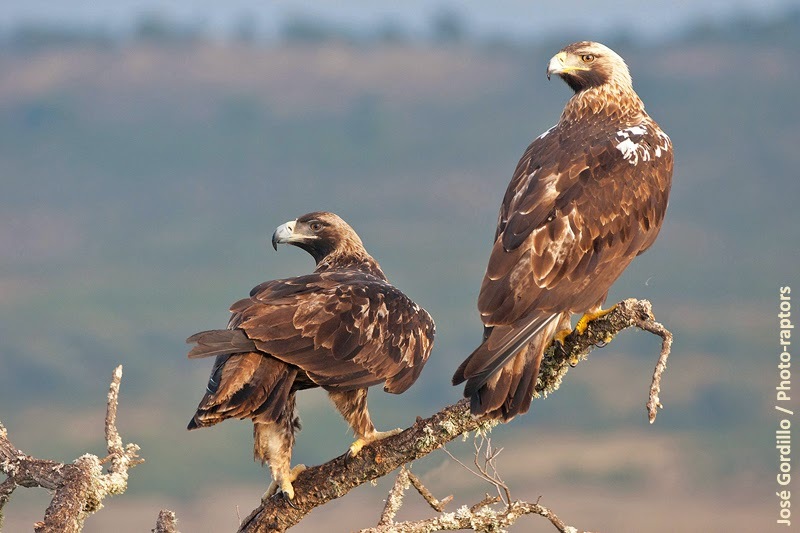 A session to take pictures of Spanish imperial eagle from hide. 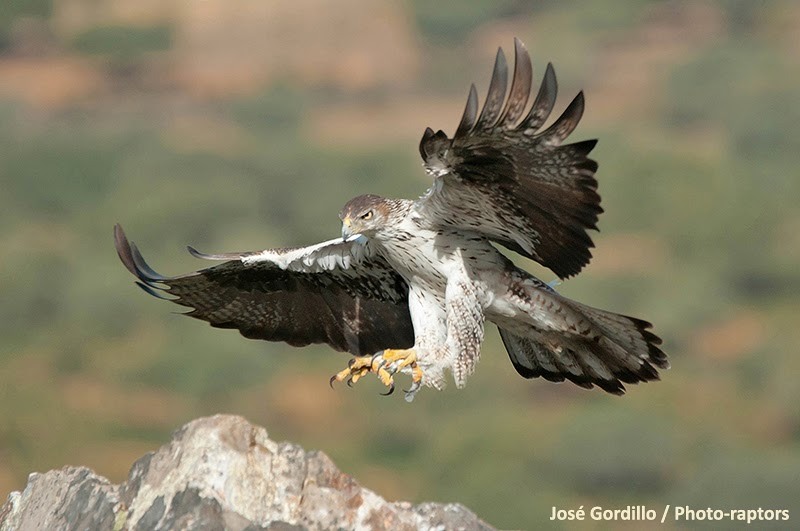 A session to take pictures of Bonelli's eagle from hide. A session to take pictures of Black vultures and other carrion eaters from hide. Two sessions to take pictures of passerine birds from hide in two different places. A three hours session, from dawn, to photograph the cork harvesting in the Sierra de San Pedro cork oak forests and their area. 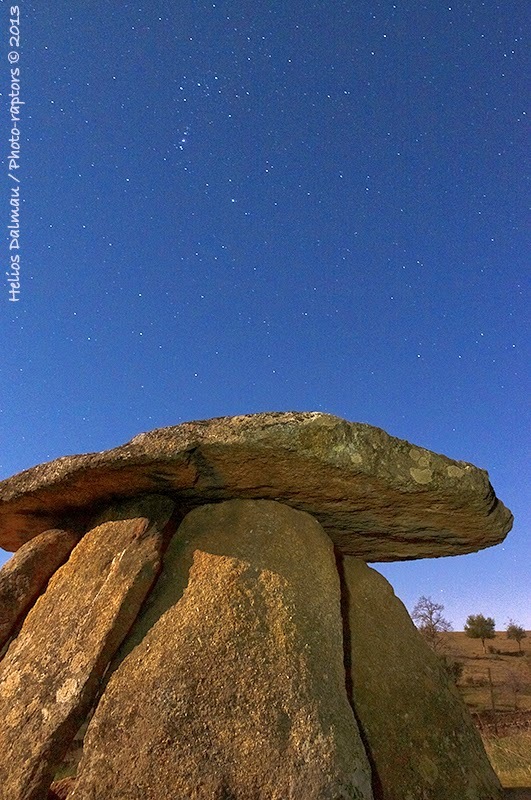 An afternoon-evening tour to photograph megalithic dolmenes in Valencia de Alcántara. 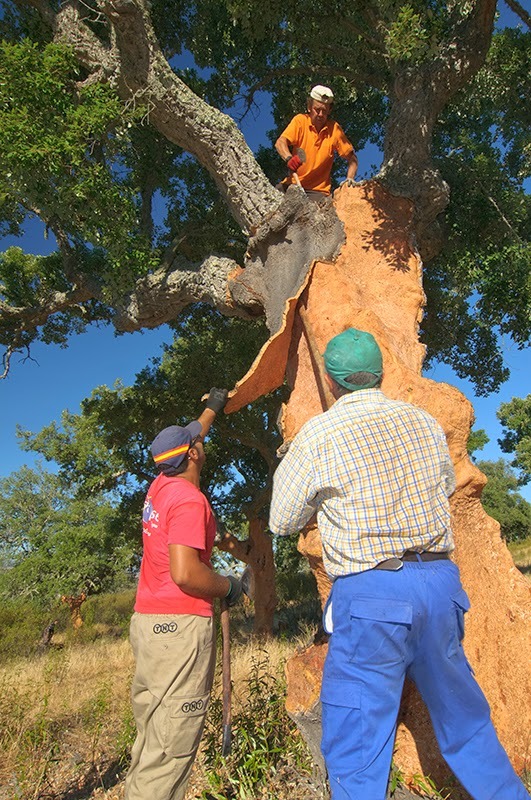 This program can be booked for the Spring and Summer of 2014, but the cork harvesting is usually done between 15th of May and 15th of August. Is impossible to guarantee the cork harvesting photo sessions in advance because this work needs the right weather conditions: high temperature and wet on the previous weeks. If the cork harvesting can't be done on the booked days, the photo session will be replaced or a discount of 55 € / person will be applied. costumer will can repeat the session on a next available day (at his convenience) free or only pay an amount for expenses. Of course, another programs can be made. Check our discount offers. Watch the gallery with pictures taken by some of our guest from various hides. For more information about the hide characteristics, schedules and locations, is necessary contact with the Photo-raptors keepers. Information about accommodation in the area will be given.